The pleasure of good times and relaxation outdoors is one of the advantages of the summer season. From breakfast to aperitif with friends, a terrace awning is the solution to enjoy this space all summer long, even on the hottest days. 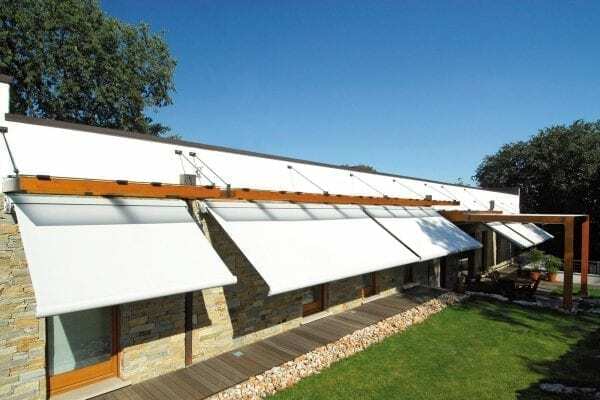 Pratic terrace awnings are designed to adapt to spaces of any size and to any architectural context, from a historic building to a contemporary residence. There are two types to choose from: vertical drop-down or extendable. Vertical drop-down awnings for terraces are always custom-made and range from 400 to 950 cm in width and from 300 to 500 cm in depth. They can be installed on a wall, ceiling or alcove and the finishes can be customized. The choice of colour for the box and aluminium profiles can be selected from the eight classic Pratic colours or the thirty new Tiger colours, developed in partnership with architecture and design studios. Bright and long lasting, they are resistant to humidity and salt. The easy to clean awning can also be customized by choosing from the numerous options offered by the renewed Fabrics Collection. There are two technologies used in vertical drop-down awnings: the Power Spring System, ensuring the canvas is constantly taut and homogeneous, and the Magnetic Lock System, which starts working in the event of strong breezes. 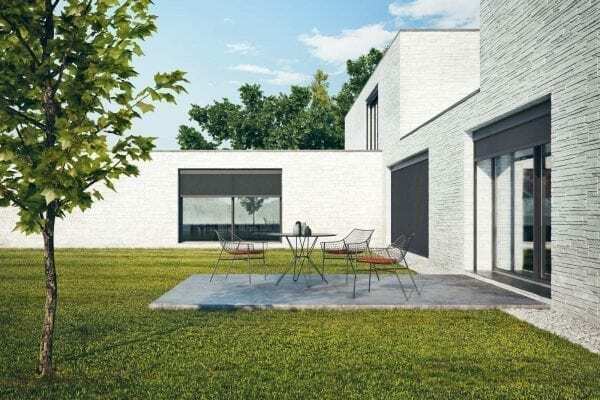 Automatic closure is provided in the T-Box, T-Line and T-Square models in the event of strong winds: a clever feature when you are outside of the house and are surprised by a summer storm. The extendable arm awnings shade larger areas, guaranteeing minimum encumbrance thanks to the box that contains the awning once it is closed. 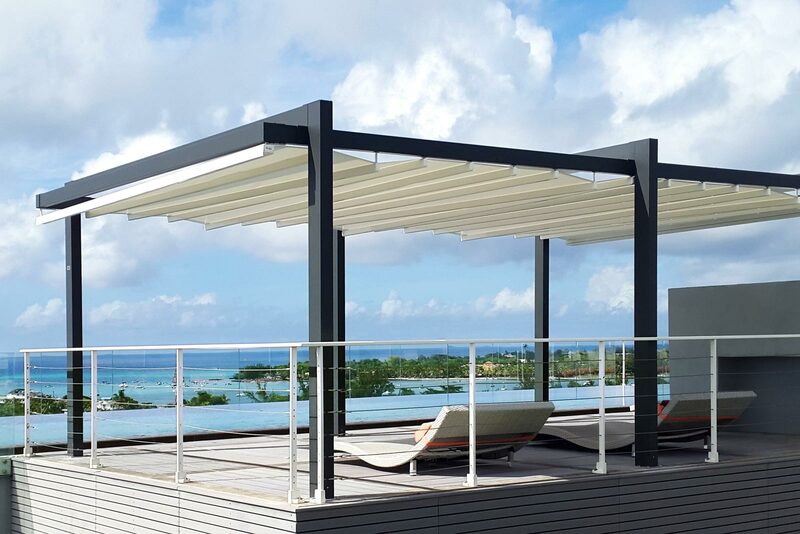 Extendable arm awnings have adjustable inclination and extension, always with perfect canvas tautness even when there is wind and bad weather: most of the range is in fact equipped with the patented FlexControl system, tested in the Pininfarina Wind Tunnel. What about in the evening? Both the vertical drop-down awnings and the extendable arm awnings for the terrace can be equipped with LED lighting.